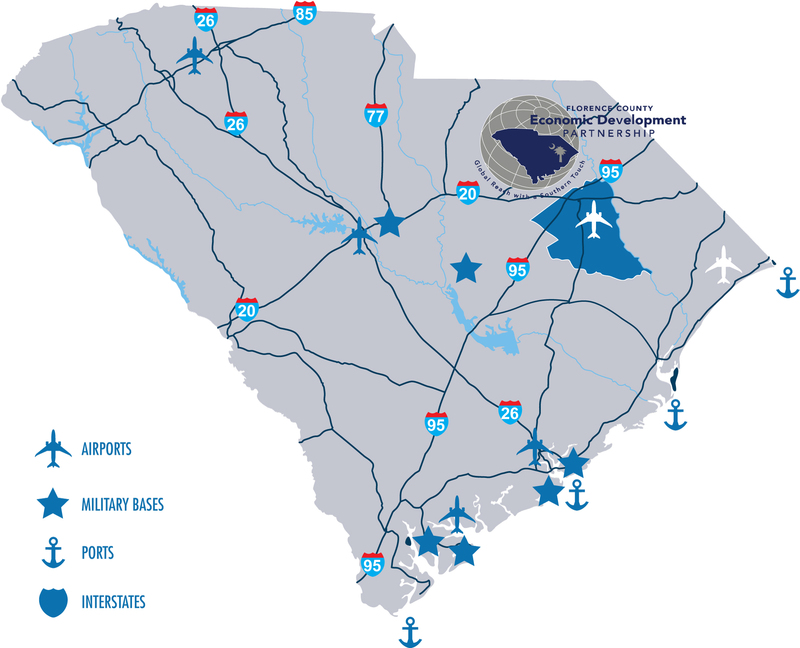 Florence County’s exceptional interstate system allows industries to take advantage of the quick access to the east coast and beyond. Florence County is strategically located at the intersection of I-20, which begins in Florence and extends through Dallas, Texas and I-95, the major North/South thoroughfare on the east coast. Exactly half way between Miami and New York, Florence County provides excellent access to markets and is in close proximity to direct interstate connections with I-26 and I-77.